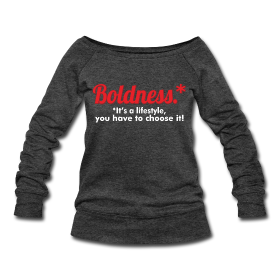 Ladies, We Need Balance to Maintain Our Boldness! I don’t know about you, but having “me” time is very important in seeking a balanced life. We have to take time out to recharge our energy and assess what’s going on in our lives. I recently wrote a blog post about fives way to be balanced (5 Ways To Be Balanced Now), one of which was taking care of yourself physically and spiritually. We already know from research that exercise makes your brain work better, but what about the fact that it also releases endorphins that make you feel better? You don’t have to be running in a marathon to get the benefits. Ease into it if you’re a couch potato. There are tons of exercise books you can buy or borrow from the library, join your local gym or walking club. Besides exercise, I believe a spiritual connection is important in whatever form it takes for you. Prayer, meditation, journaling and being of service to others in need all contribute to our happiness. Connecting with others who contribute to our well-being also makes us feel good about ourselves. Who do you think of when you need someone to talk to? To laugh with? To have fun with? To love? These connections with others make us feel good about ourselves. We can experience “me” time without it necessarily being “alone” time. If you really want to focus on bringing some more balance into your life, The Be Healthful Retreat Sunday, September 14th is where you want to be. The Be Healthful Retreat is an all inclusive open house event that is hosted by BalancedBabe.com, The Healthful Guide, and In Good Taste Magazine. 30% of registration sales are donated to Charity 4LIFE (they help remove kids from homeless situations and empower them to leave street life). Sponsors and partners include; Whole Foods, Karyn’s Raw, Door to Door Organics, and a great blend of health and wellness leaders in Chicago. Get ready to be educated, entertained, and inspired at this all-day wellness and health extravaganza. 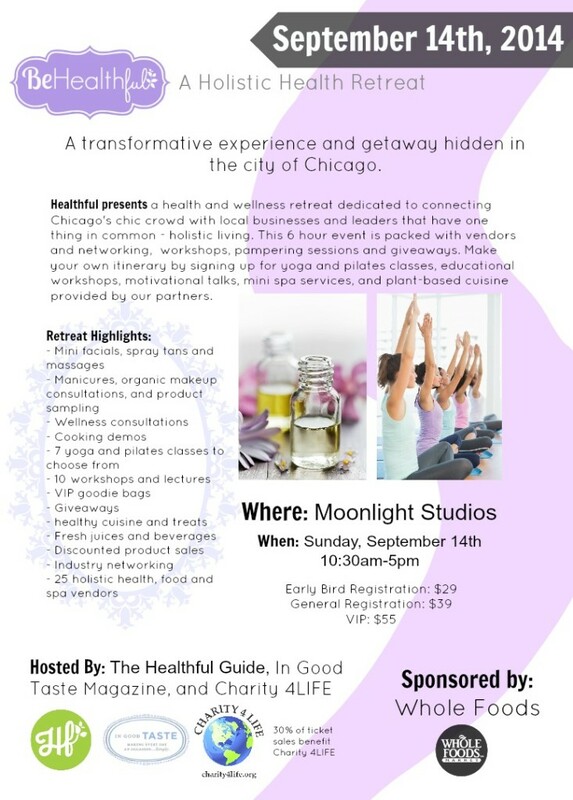 What you will find inside the doors of the Be Healthful retreat: Be Healthful will offer workshops and lectures led by top Chicago wellness professionals, yoga and pilates classes, healthy food and beverage tastings, spa services, wellness consultations, giveaways and more. The retreat will provide an oasis for guests to recharge and reset for the week ahead; all will leave pampered and energized. On top of treating yourself to a relaxing day, guests can also mingle and network with other professionals within the health and wellness industry. 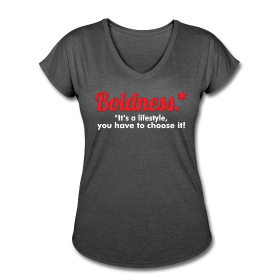 For my readers only, use the promotional code BEHEALTHFUL for special savings! 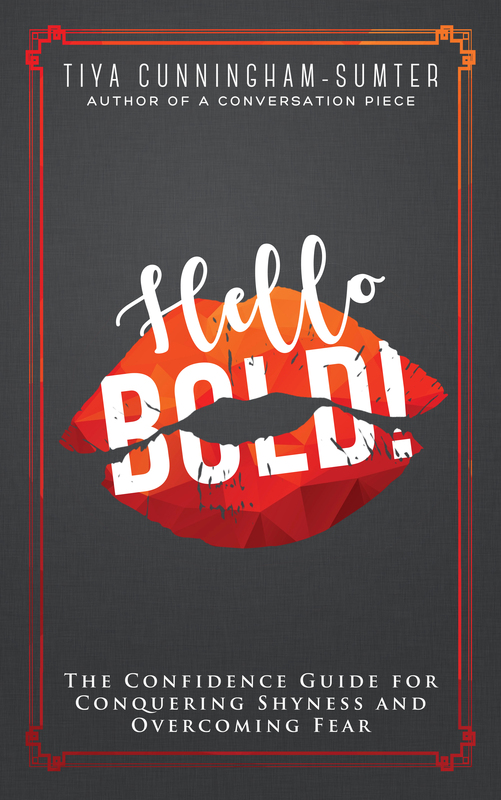 Previous Previous post: 10 Reasons Why Women Business Owners Rock!